For other uses, see Rachel Carson (disambiguation). In the late 1950s, Carson turned her attention to conservation and the environmental problems caused by synthetic pesticides. The result was Silent Spring (1962), which brought environmental concerns to an unprecedented portion of the American public. Silent Spring spurred a reversal in national pesticide policy–leading to a nationwide ban on DDT and other pesticides–and the grassroots environmental movement the book inspired led to the creation of the Environmental Protection Agency. Carson was posthumously awarded the Presidential Medal of Freedom by Jimmy Carter. After her first year of graduate school, Carson became a part-time student, taking an assistantship in Raymond Pearl's laboratory, where she worked with rats and Drosophila, to earn money for tuition. After false starts with pit vipers and squirrels, she completed a dissertation project on the embryonic development of the pronephros in fish. She earned a master's degree in zoology in June 1932. She had intended to continue for a doctorate, but in 1934 Carson was forced to leave Johns Hopkins to search for a full-time teaching position to help support her family. In 1935, her father died suddenly, leaving Carson to care for her aging mother and making the financial situation even more critical. At the urging of her undergraduate biology mentor Mary Scott Skinker, she settled for a temporary position with the U.S. Bureau of Fisheries, writing radio copy for a series of weekly educational broadcasts entitled "Romance Under the Waters". The series of fifty-two seven-minute programs focused on aquatic life and was intended to generate public interest in fish biology and in the work of the bureau–a task the several writers before Carson had not managed. Carson also began submitting articles on marine life in the Chesapeake Bay, based on her research for the series, to local newspapers and magazines. In July 1937, the Atlantic Monthly accepted a revised version of an essay, "The World of Waters", that she had originally written for her first fisheries bureau brochure; her supervisor had deemed it too good for that purpose. The essay, published as "Undersea", was a vivid narrative of a journey along the ocean floor. It marked a major turning point in Carson's writing career. Publishing house Simon & Schuster, impressed by "Undersea", contacted Carson and suggested that she expand it into book form. Several years of writing resulted in Under the Sea Wind (1941), which received excellent reviews but sold poorly. In the meantime, Carson's article-writing success continued–her features appeared in Sun Magazine, Nature, and Collier's. Oxford University Press expressed interest in Carson's book proposal for a life history of the ocean, spurring her to complete the manuscript of what would become The Sea Around Us by early 1950. Chapters appeared in Science Digest and the Yale Review–the latter chapter, "The Birth of an Island", winning the American Association for the Advancement of Science's George Westinghouse Science Writing Prize–and nine chapters were serialized in The New Yorker. The Sea Around Us remained on the New York Times– bestseller list for 86 weeks, was abridged by Reader's Digest, won the 1952 National Book Award and the Burroughs Medal, and resulted in Carson's being awarded two honorary doctorates. She also licensed a documentary film to be based on The Sea Around Us. The book's success led to the republication of Under the Sea Wind, which also became a best-seller. With success came financial security, and Carson was able to give up her job in 1952 to concentrate on writing full time. Carson moved with her mother to Southport Island, Maine, in 1953, and in July of that year met Dorothy Freeman (1898–1978)–the beginning of an extremely close relationship that would last the rest of Carson's life. The nature of the relationship between Carson and Freeman has been the subject of much interest and speculation. It is probably best described as a romantic friendship. Carson met Freeman, a summer resident of the island along with her husband, after Freeman had written to Carson to welcome her. Freeman had read The Sea Around Us, a gift from her son, and was excited to have the prominent author as a neighbor. Carson's biographer, Linda Lear, writes that "Carson sorely needed a devoted friend and kindred spirit who would listen to her without advising and accept her wholly, the writer as well as the woman." She found this in Freeman. The two women had a number of common interests, nature chief among them, and began exchanging letters regularly while apart. They would continue to share every summer for the remainder of Carson's life, and meet whenever else their schedules permitted. Through 1955 and 1956, Carson worked on a number of projects–including the script for an Omnibus episode, "Something About the Sky"–and wrote articles for popular magazines. Her plan for the next book was to address evolution, but the publication of Julian Huxley's Evolution in Action–and her own difficulty in finding a clear and compelling approach to the topic–led her to abandon the project. Instead, her interests were turning to conservation. She considered an environment-themed book project tentatively entitled Remembrance of the Earth and became involved with The Nature Conservancy and other conservation groups. She also made plans to buy and preserve from development an area in Maine she and Freeman called the "Lost Woods". By 1959, the USDA's Agricultural Research Service responded to the criticism of Carson and others with a public service film, Fire Ants on Trial; Carson characterized it as "flagrant propaganda" that ignored the dangers that spraying pesticides (especially dieldrin and heptachlor) posed to humans and wildlife. That spring, Carson wrote a letter, published in The Washington Post, that attributed the recent decline in bird populations–in her words, the "silencing of birds"–to pesticide overuse. That was also the year of the "Great Cranberry Scandal": the 1957, 1958, and 1959 crops of U.S. cranberries were found to contain high levels of the herbicide aminotriazole (which caused cancer in laboratory rats) and the sale of all cranberry products was halted. Carson attended the ensuing FDA hearings on revising pesticide regulations; she came away discouraged by the aggressive tactics of the chemical industry representatives, which included expert testimony that was firmly contradicted by the bulk of the scientific literature she had been studying. She also wondered about the possible "financial inducements behind certain pesticide programs". It was difficult finding a title for the book; "Silent Spring" was initially suggested as a title for the chapter on birds. By August 1961, Carson finally agreed to the suggestion of her literary agent Marie Rodell: Silent Spring would be a metaphorical title for the entire book–suggesting a bleak future for the whole natural world–rather than a literal chapter title about the absence of birdsong. With Carson's approval, editor Paul Brooks at Houghton Mifflin arranged for illustrations by Louis and Lois Darling, who also designed the cover. The final writing was the first chapter, "A Fable for Tomorrow", which was intended to provide a gentler introduction to what might otherwise be a forbiddingly serious topic. By mid-1962, Brooks and Carson had largely finished the editing, and were laying the groundwork for promoting the book by sending the manuscript out to select individuals for final suggestions. As biographer Mark Hamilton Lytle writes, Carson "quite self-consciously decided to write a book calling into question the paradigm of scientific progress that defined postwar American culture." The overriding theme of Silent Spring is the powerful–and often negative–effect humans have on the natural world. Though Silent Spring had generated a fairly high level of interest based on pre-publication promotion, this became much more intense with the serialization in The New Yorker, which began in the June 16, 1962 issue. This brought the book to the attention of the chemical industry and its lobbyists, as well as a wide swath of the American populace. Around that time Carson also learned that Silent Spring had been selected as the Book-of-the-Month for October; as she put it, this would "carry it to farms and hamlets all over that country that don't know what a bookstore looks like–much less The New Yorker." Other publicity included a positive editorial in The New York Times and excerpts of the serialized version in Audubon Magazine, with another round of publicity in July and August as chemical companies responded. The story of the birth defect-causing drug thalidomide broke just before the book's publication as well, inviting comparisons between Carson and Frances Oldham Kelsey, the Food and Drug Administration reviewer who had blocked the drug's sale in the United States. American Cyanamid biochemist Robert White-Stevens and former Cyanamid chemist Thomas Jukes were among the most aggressive critics, especially of Carson's analysis of DDT. According to White-Stevens, "If man were to follow the teachings of Miss Carson, we would return to the Dark Ages, and the insects and diseases and vermin would once again inherit the earth." Others went further, attacking Carson's scientific credentials (because her training was in marine biology rather than biochemistry) and her personal character. White-Stevens labeled her "a fanatic defender of the cult of the balance of nature", while former Secretary of Agriculture Ezra Taft Benson–in a letter to Dwight D. Eisenhower–reportedly concluded that because she was unmarried despite being physically attractive, she was "probably a Communist". The academic community–including prominent defenders such as H. J. Muller, Loren Eisley, Clarence Cottam, and Frank Egler–by and large backed the book's scientific claims; public opinion soon turned Carson's way as well. The chemical industry campaign backfired, as the controversy greatly increased public awareness of potential pesticide dangers, as well as Silent Spring book sales. 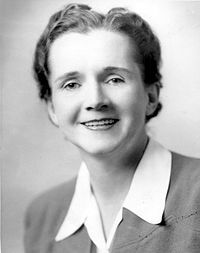 Pesticide use became a major public issue, especially after the CBS Reports TV special "The Silent Spring of Rachel Carson" that aired April 3, 1963. The program included segments of Carson reading from Silent Spring and interviews with a number of other experts, mostly critics (including White-Stevens); according to biographer Linda Lear, "in juxtaposition to the wild-eyed, loud-voiced Dr. Robert White-Stevens in white lab coat, Carson appeared anything but the hysterical alarmist that her critics contended." Reactions from the estimated audience of ten to fifteen million were overwhelmingly positive, and the program spurred a congressional review of pesticide dangers and the public release of a pesticide report by the President's Science Advisory Committee. Within a year or so of publication, the attacks on the book and on Carson had largely lost momentum. Carson and the environmental movement were–and continue to be–criticized by some conservatives and libertarians as well as chemical industry trade groups and scientists, who argue that restrictions placed on pesticides, specifically DDT, have caused tens of millions of needless deaths and hampered agriculture, and more generally that environmental regulation unnecessarily restricts economic freedom. For example, the conservative magazine Human Events gave Silent Spring an honorable mention for the "Ten Most Harmful Books of the 19th and 20th Centuries". In the 1980s, the policies of the Reagan Administration emphasized economic growth at the expense of environmental regulation, rolling back many of the environmental policies adopted in response to Carson and her work. A variety of groups ranging from government institutions to environmental and conservation organizations to scholarly societies have celebrated Carson's life and work since her death. Perhaps most significantly, on June 9, 1980, Carson was awarded the Presidential Medal of Freedom, the highest civilian honor in the United States A 17– Great Americans series postage stamp was issued in her honor the following year; several other countries have since issued Carson postage as well. Carson's birthplace and childhood home in Springdale, Pennsylvania–now known as the Rachel Carson Homestead–became a National Register of Historic Places site, and the nonprofit Rachel Carson Homestead Association was created in 1975 to manage it. Her home in Colesville, Maryland where she wrote Silent Spring was named a National Historic Landmark in 1991. Near Pittsburgh, a 35.7 miles (57 km) hiking trail, maintained by the Rachel Carson Trails Conservancy, was dedicated to Carson in 1975. A Pittsburgh bridge was also renamed in Carson's honor as the Rachel Carson Bridge. The Pennsylvania Department of Environmental Protection State Office Building in Harrisburg is named in her honor. An elementary school in Gaithersburg, Montgomery County, MD, built in 1990, was named in her honor, as was a middle school in Herndon, VA.
2007 was the centennial of Carson's birth. On Earth Day (April 22, 2007), Courage for the Earth: Writers, Scientists, and Activists Celebrate the Life and Writing of Rachel Carson was released as "a centennial appreciation of Rachel Carson's brave life and transformative writing", thirteen essays by prominent environmental writers and scientists. Democratic Senator Benjamin L. Cardin, Maryland, had intended to submit a resolution celebrating Carson for her "legacy of scientific rigor coupled with poetic sensibility" on the 100th anniversary of her birth. The resolution was blocked by Republican Senator Tom Coburn, Oklahoma, who said that "The junk science and stigma surrounding DDT–the cheapest and most effective insecticide on the planet–have finally been jettisoned." 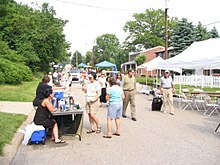 The Rachel Carson Homestead Association held a May 27 birthday party and sustainable feast at her birthplace and home in Springdale, Pennsylvania, and the first Rachel Carson Legacy Conference in Pittsburgh with E.O. Wilson as keynote speaker. Both Rachel's Sustainable Feast and the conference continue as annual events. Sideris, Lisa H., –Fact and Fiction, Fear and Wonder: The Legacy of Rachel Carson,– Soundings, 91 (Fall–Winter 2009), 335–69.